Higher Education Institutions (HEIs) operate in an environment that combine characteristics from both business and non-profit sectors and have to possess and operate a bundle of skills and resources to implement strategies adapted to educational market conditions. How does an HEI ensure that its curriculum keeps pace with these changes? 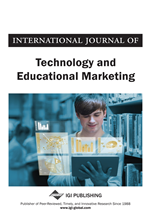 The purpose of this paper is to examine the weaknesses of the current undergraduate marketing curriculum offered by the HEI and propose a curriculum that reflects the requirements of today's market which is also in line with the global marketing curricula. A list of criteria was drawn for the evaluation of the BSc (Hons) undergraduate marketing curriculum. Perspectives from three cohorts of marketing students, employers, lecturers and experts in the field were gathered over a period of 3 weeks. Students expressed concerns about the number of non - marketing modules which formed part of the curriculum. Lack of resources and classrooms with 120 students for common modules were found to be not conducive for their learning. There was a lack of space for computer labs and access to internet was limited and very slow for their research assignments. The stakeholders evaluation in relation to course content, relevance, lecturers' characteristics and attitude, assignments, resources/facilities provided to the marketing students, employment prospects, leadership issues the powerful role of higher education in economic development are discussed. This revamped curriculum has attempted to balance the critical requirements of the curriculum from three angles: Firstly, with increased globalisation, this modern curriculum is in line with evolution in marketing and is expected to adequately prepare the students as practitioners in a global environment. Secondly, the aspirations of students have been taken into account so as to make the curriculum more relevant to their needs, and finally the requirements from the industry in terms of knowledge, skills and competences have been incorporated so that the students are better prepared to face the world of work once they have graduated. Although great care has been taken to ensure that the curriculum is modernised in line with the needs of employers and employees, marketing being such a dynamic area, it is difficult to predict for how long this revamped curriculum will remain relevant and when this should ideally be revamped again, an exercise which is currently undertaken every 4-6 years. A list of criteria was drawn for the evaluation of the BSc (Hons) Undergraduate Marketing Curriculum. A comprehensive consultation process and research was undertaken by the authors, from current and previous students, the market/employers, lecturers and experts in the field, the external examiner over a period of 3 weeks using a purposive sample. First, attention was centred on the distinctive content of the course and the special insights into marketing processes were gained. Second, several prominent trends in business practice were highlighted and linked to the BSc marketing curriculum. Particular attention was given to recent changes that are affecting the business environment, organizational processes, and marketing strategy patterns. Third, the central themes and knowledge areas that comprise the BSc marketing curriculum course were examined. And finally, attention was turned to the learning tools in developing the skill set of BSc (Hons) marketing students.